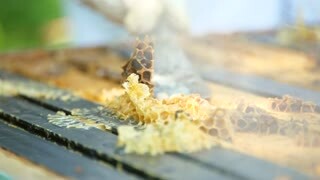 Search Results for "royal jelly"
The beekeeper looks after bees, honeycombs, a lot of honey, in a protective beekeepers beast. 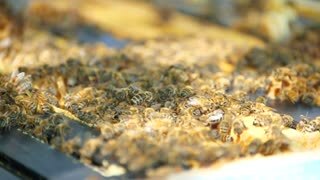 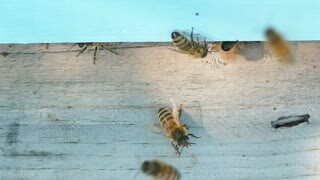 Concept: bee hive, pure natural product, useful product, yellow golden honey, swarm of bees, hard working. 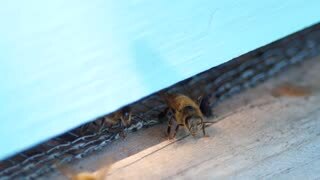 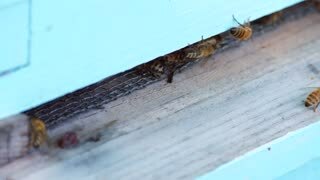 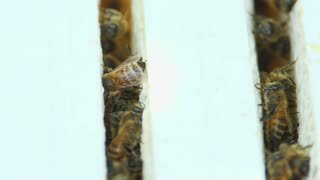 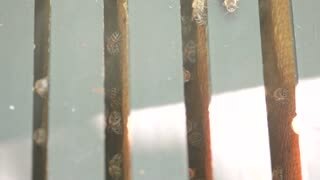 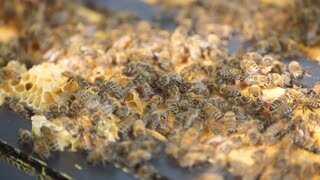 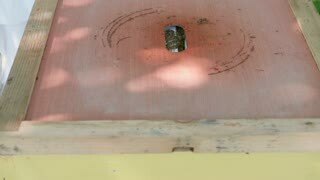 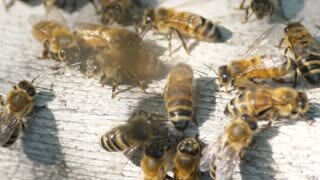 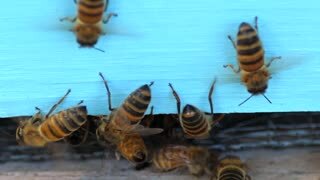 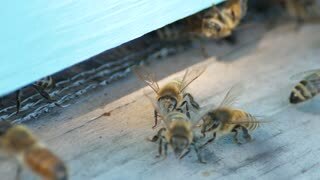 Wide shot in slow motion of a beekeeper kid taking a bee hive part to inspect the bees. 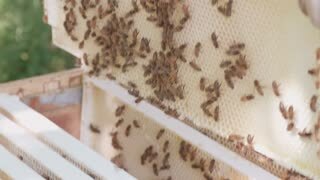 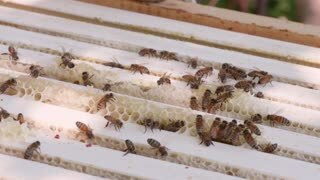 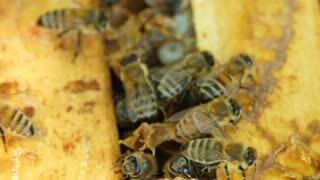 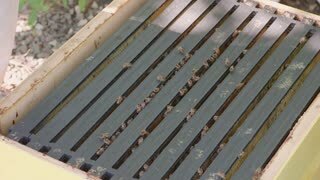 Bee keepers inspects honey combs.